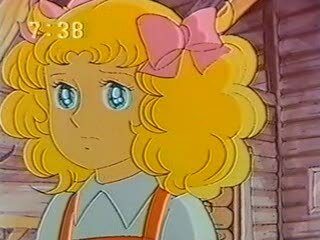 This episode begins with Candy adjusting to life at Pony Home without Annie, Candy and Annie spent all ten years of their lives with each other at Pony Home orphanage, Candy really misses Annie. 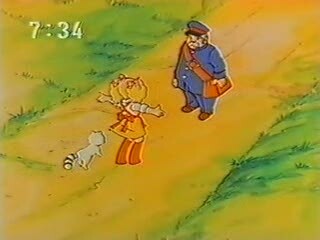 Candy spends her days missing Annie and harassing Matthew the mailman waiting for letters from Annie. Day pass and still no letters from Annie, and finally Sister Pony tells Candy that being sad and down doesn’t suit her, and Candy tells her that Annie is thinking about her and that she’ll write. 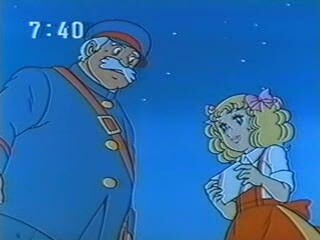 One night Candy is sitting up in her tree on Pony hill and she sees Mr. Matthew the mailman walking up the path, he made a special trip to bring Candy a letter from Annie, he tells her that if he brought the letter during the day she would have to cry in front of everyone. 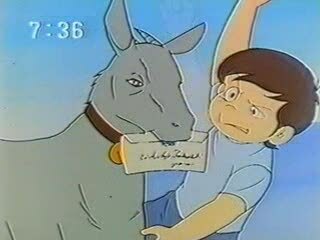 In the letter, Annie tells Candy that she’s very happy and that soon she’ll ask her new parents to introduce Candy to her new family, Candy writes Annie a letter in return. After Annie receives her letter from Candy her new mother tells her it would be better if no one knows that Annie came from a orphanage, and that she should keep that fact a secret. 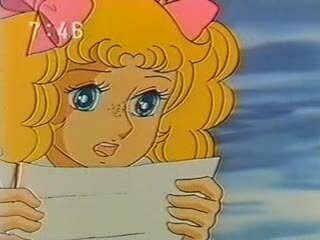 A few days later Candy gets a letter from Annie telling Candy that this letter will be the last one and that in order to become a true Brighton she must forget her past and everyone from it, and she goes on to say “please don’t ask any questions”. 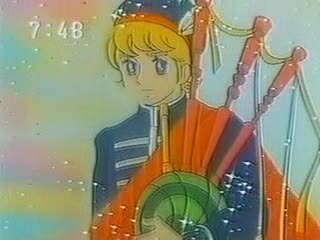 Candy is destroyed by sadness at this news, it starts to raining, and Candy runs in the rain to the comfort of her tree on top of Pony hill, she cries to herself in sadness, as the clouds break and the sun begins to shine Candy hears bagpipe music playing. 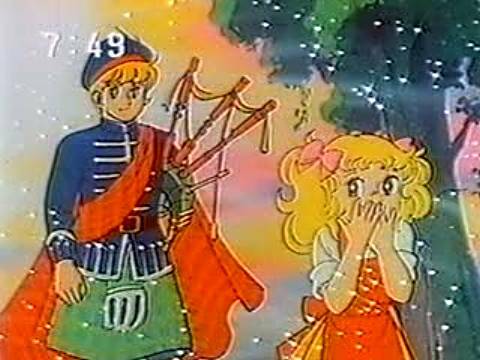 As she raises herself from the ground and turns around she sees a boy/young man (looks to be anywhere from 14-18 years old) dressed in full Scottish uniform including a bagpipe walking towards her, they talk and he plays the bagpipe for her, cheering her up, they laugh together and enjoy talking with each other. Then after a while he tells Candy one of the most famous/classic lines in shoujo anime “your prettier when you’re smiling than when you’re crying“. 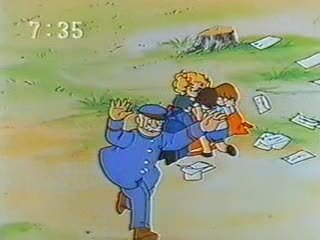 Just then, a breeze blows Annie’s letter away and Candy runs to catch it, when she returns, he’s gone, she says she must have been dreaming because he was just like a fairy tale prince, but she spots a glitter on the ground and bends down to see what it is. 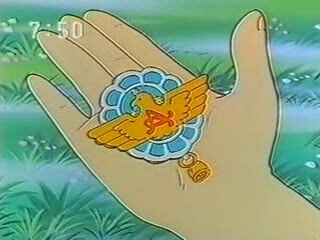 What he left behind was a pendant made out of silver and gold with the letter “A” in the center, she searches for her “prince” to return his dropped pendant to him. 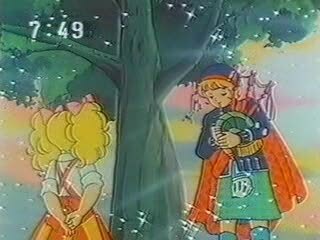 As Candy arrives back at Pony home a man named Steward is introduced to Candy, and he tells her he wants her to meet a family named Leagan from the town of Lakewood, he has driven a car that has a hood ornament that looks like the pendant her “prince” had dropped. She asks him if the family has a boy aged 17 or 18, and he says yes their son is about that age, so Candy tells Sisters Pony and Lane that she’s off to join the Leagan family, this response shocks the Sisters. That’s all for this episode, below are some screen shots. 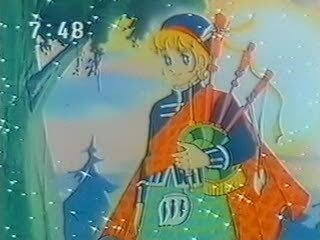 Well, I consider episode 4 of Candy Candy to be one of the best classic shoujo episodes from a classic shoujo anime series, this episode is filled with sadness, betrayal, hope, and a “prince” straight out of a fairy tale. 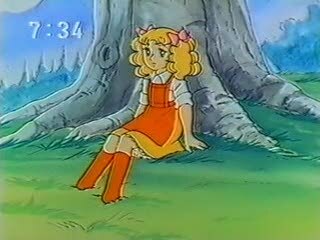 Candy the girl who cares more for others than herself gets her heart broken again by her lifelong friend Annie, earlier Annie promised write Candy from her new home and she does for a while, but once Annie receives a letter from Candy with a return address from Pony home her new mother gets worried about what will happen if someone finds out she’s an orphan, she tells Annie to forget Candy and her past, you can tell this upsets Annie but she agrees to this, she writes Candy a letter breaking her heart. This sets up a foreboding about the future for Annie, you can tell that this will haunt Annie in the future, she must remember that you can’t change who you are but you can control what you do, twice Annie has betrayed Candy for her own personal happiness and so far she’s gotten new wealthy parents and life in a mansion, but she seems like a bird in a gilded cage. Now for Candy, the girl who cares too much, her caring for others more than herself has already cost her once, she could have been adopted by the Brighton’s instead of Annie, and she would have been strong enough to be herself in the Brighton household. But the heart of this episode is straight out a fairy tale, Candy in her despair, laying in the mud in tears, has a handsome prince stumble upon her, he cheers her up, makes a impression on her that will last her entire life, the connection he makes with her will cause her to search for him just like the female lead in Millenium Actress searches for the guy her entire life. Also the prince gives Candy what is in my opinion one of the best “pickup lines” in shoujo history, “your prettier when your smiling than when your crying” note (I’ve seen several different translations of this line, but all of them mean the same thing), all kawaii girls should be smiling instead of crying, especially the Key girls’, Ayu, Nagisa, and Misuzo. Well this encounter with the “prince” sets Candy’s future in motion, she jumps at the notion of living with the Leagans just because of the possibility that their son might be the “prince”. A small warning signal should have been set off in Candy’s mind by her encounter with Mr. Steward, if the Leagans want to adopt a girl so badly why didn’t they come to Pony Home themselves instead of sending their man, “Danger, Will Robinson”. Oh well, Candy’s loving and trusting nature will surely get her in trouble many times in the future, but she’s also as tough as nails. As I get older I fall for the classic shoujo anime and manga more often than before, hugs not hurts for all the sad anime girls, when I think of Candy I think of Everclear’s song Wonderful from their album Songs from an American Movie Vol. 1 I just want to tell Candy that everything will be alright even though I know it won’t be. It’s a damn shame that legal disputes over this series will probably mean that a American release of the anime or manga won’t ever happen, I thinking about buying the Korean DVD box-sets and subbing episodes 55-115 myself, it’s been 16 years since I’ve helped in fan-subbing a series, but I might just try it again for this series. Oh, by the way I’ve made Vol. 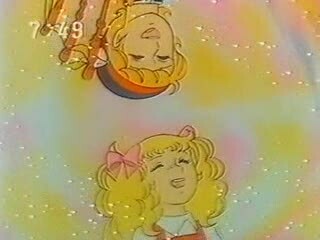 1 of the Candy Candy manga available for download on my Candy Candy manga page, just scroll down and click on the Candy Candy manga vol. 1 link, enjoy. If you do sub it could I get a copy first? 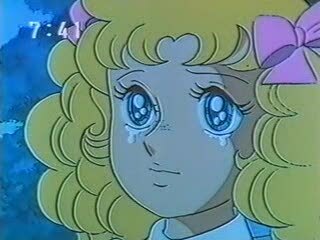 I LOVE Candy, Candy and it is a real shame that the world may not see it again. Woww..i love Candy!! :((( This was my first favourite cartoon when i was a child. can u please sub it in eng?i LOVE candy! !its such a great anime,its really emotional in spite of the fact that it appears like kids’ cartoon. 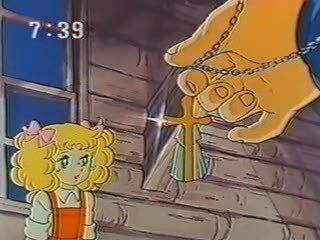 I would love to watch Candy Candy again. When I was young, it used to give me hope in my own life. Please continue with the summary of the chapters if you can :). I know it is a lot of work, but it is a great, and I sort of love the comments that you do at the end of the summary. (And let me know about the sub or the manga). 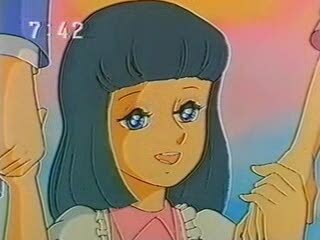 I loved “Candy, Candy” very much. Is there any posibility to get a copy of animation (in english) ? 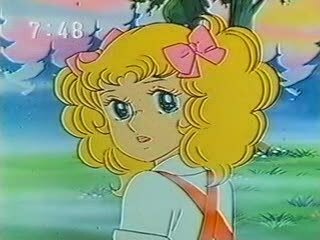 I was a teen when I first saw Candy Candy way back in the day, and she became one of my first loves. 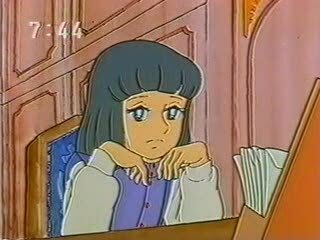 I felt that if I could ever get a GF like Candy all would be right with the world. 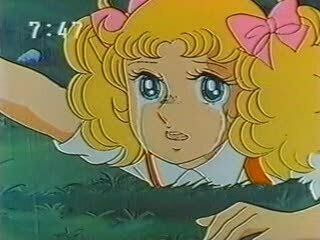 desde que mi mama me comento que candy era su novela de caricatura infantil favorita, me regalo la coleccion y me encanto es una historia muy tierna y hermosa que a pesar de todas las adversidades que candy sufria siempre salia adelante y le daba el verdadero valor a la amistad.